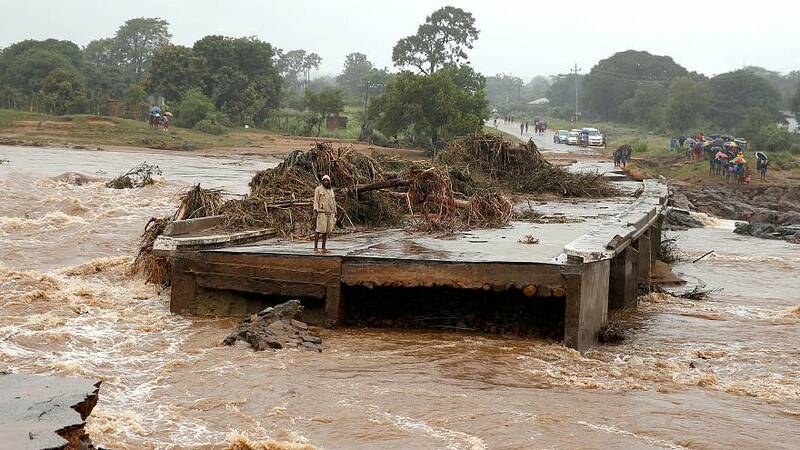 As of Saturday, at least 732 people were reported dead after Cyclone Idai hit parts of southern Africa, said government and United Nations officials. Hundreds of thousands remain displaced. The storm hit the Mozambican port city of Beira on March 14 before moving to Zimbabwe and Malawi. A spokesman for the International Federation of Red Cross and Red Crescent Societies (IFRC) told Euronews that they expected the death toll to continue to rise in Mozambique as flood waters continue to recede. Up to 90% of Beira – Mozambique's fourth largest city with more than 500,000 people – was reportedly destroyed from the cyclone. The government has told aid workers they expect water and electricity to be restored in parts of Beira in the coming days, however in outlying areas, it still difficult to grasp the full extent of the damage. The Secretary-General of the IFRC, Elhadj As Sy said tens of thousands of families in Mozambique have lost everything and described the full scope of the suffering as "breathtaking". “Tragically, we know that the full picture of this disaster is probably even worse than it seems now. The death toll will probably rise further as more and more areas are reached and as more and more bodies are recovered,” said Sy. Earlier in the week, Mozambique's president Filip Nyusi warned the death toll in his country alone could rise over 1,000 as the leader described to state broadcaster Radio Mozambique, seeing "bodies floating in rivers" while flying over the central port city of Beira and the rural Manica and Sofala provinces. Cyclone Idai first hit Beira with high-winds measuring up to 177 km/h, but first responders were only able to reach the port city until Sunday, March 17. The IFRC called the cyclone "massive and horrifying" as whole surrounding villages disappeared. The IFRC said their recovery efforts were going as “fast as humanly possible” and that the world should know this is a major crisis that will take a long time to recover from. The NGO has growing concerns of potential disease outbreaks as some cholera cases have already been reported in Beira along with an increasing number of malaria infections among people trapped by the flooding. 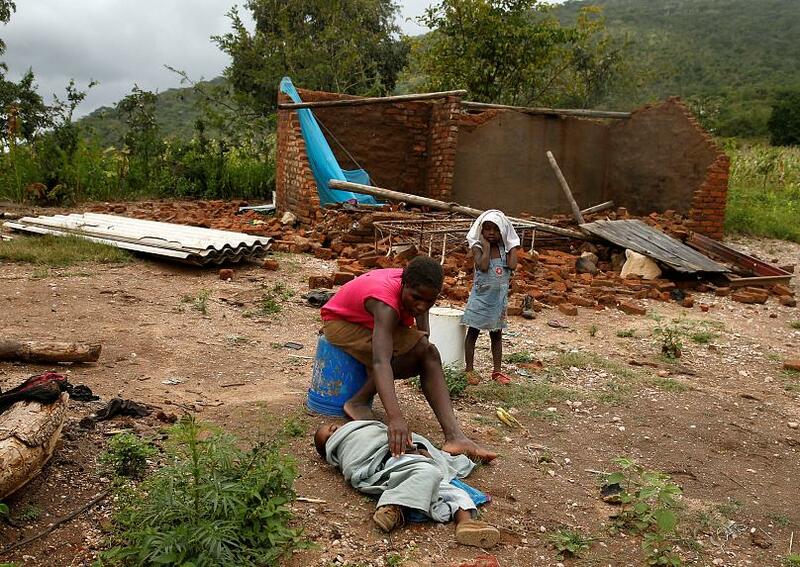 In Zimbabwe's Chimanimani district, torrential rains and intense winds swept away roads, homes, and bridges and cut out power and communication lines. According to the World Food Programme (WFP), at least 1.7 million people were affected in the direct-path of the cyclone in Mozambique, with a further 920,000 in Malawi. WFP has already provided assistance to 20,000 people and the first of three helicopters sent by the organization touched down in Beira on March 20. A 20-ton cargo of high-energy biscuits arrived in Beria by air from a WFP-managed depot in Dubai, and 184 tons of vegetable oil are being trucked in from South Africa. The organization is gearing up to assist up to 600,000 people in affected areas of Mozambique based on initial estimates. The cyclone is being described as the worst storm to hit the region in more than 20 years and one of the most violent tropical cyclones ever to hit the Southern Hemisphere.